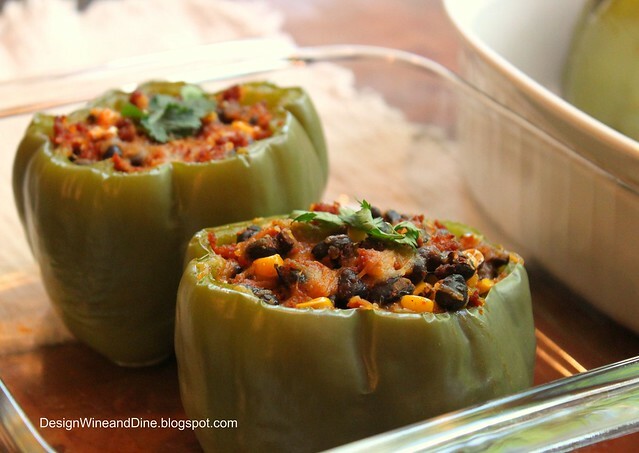 Purposely leaving out the rice...I wanted a quick and easy, low carb stuffed pepper that didn't involve a whole lot of chopping and fuss! 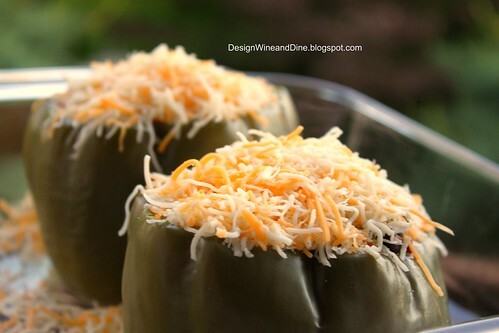 I served the stuffed peppers with a side of sour cream and low sodium blue corn tortilla chips. 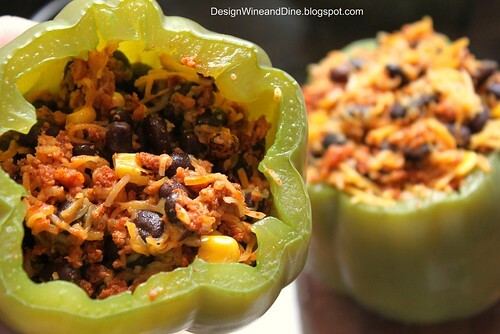 Akin to a large plate of restaurant style nachos (as far as taste)...what you'll appreciate about these individual stuffed pepper servings...is that your family and friends won't be jockeying to see who gets the last bite! But be warned...they will be back for seconds! 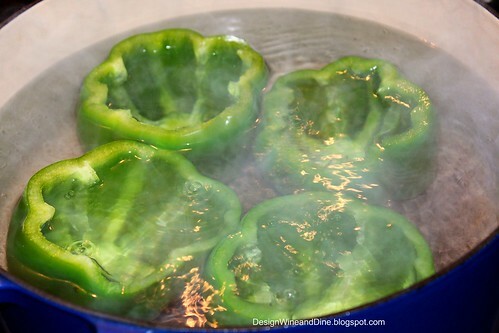 Blanch peppers in large pot of boiling water for 10-12 minutes or until just soft but still able to stand on their own. Set aside. After cooking up the chorizo, pour the chorizo out of its pan and into a strainer to drain most of the grease. Discard the grease that leaves the pan w/the chorizo. Reserve the little bit of grease that remains in the pan. 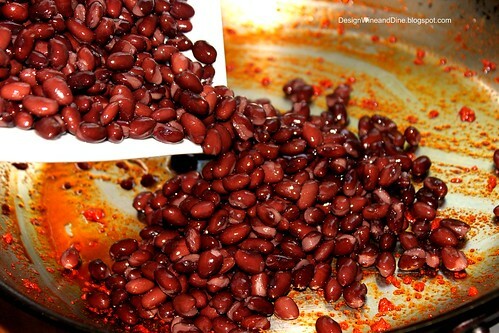 Add black beans and corn to the same pan and cook up, stirring about 4-5 minutes, until well incorporated. Add black bean and corn mixture to a large blow and stir in your cheese until mixed well. 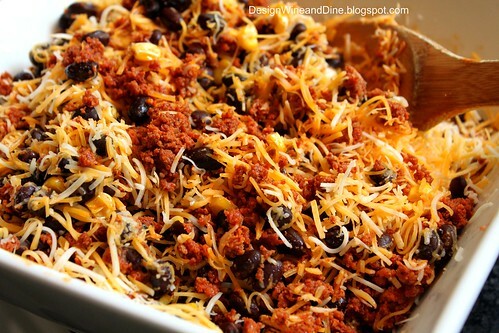 Remove from the oven and serve with chips, sour cream, etc! 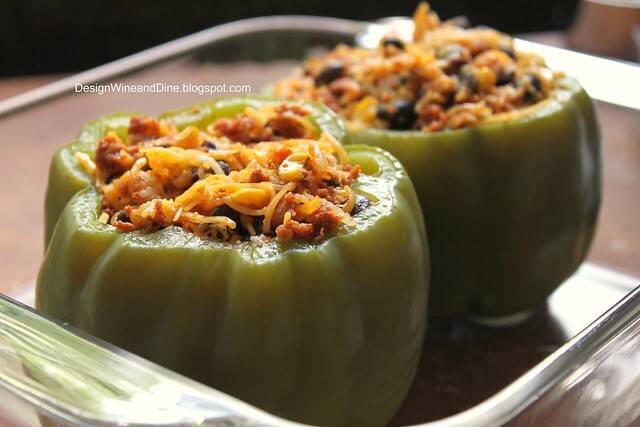 These are definitely not your mother's stuffed peppers. Absolutely fabulous photos. Ok, now this one I can eat. And I would like to, please! Your chorizo use is really making me crave it. My husband is not the biggest fan, so I'll have to do some convincing, but these sure look like a good place to start! I like the chickpea stuffed peppers, but I'd rather eat this one! I think it's because of the rice and cheese.